After sailing Summer Wind up and down the islands for 8 summers, I had decided to build a larger sloop with Alwyn and his sons and sold the vessel to a gentleman who began his own love affair with her. And after several years getting to learn her particular ways and also running aground on most of the reefs surrounding Antigua, she required a considerable amount of repairs. Originally fastened with house nails, they had been slowly but surely rusting away in her deck beams allowing rainwater to seep in and cause plenty trouble & rot. This is the story of Alexis Andrews and Vanishing Sail. Stop by our booths in Tent A, Come meet shipwright Louis Sauzedde and see the TotalBoat Work Skiff, then catch a screening of Vanishing Sail. It’s an amazing story of Caribbean boatbuilding and preserving a trade and a family tradition that risks falling by the wayside. We love old boats around here. 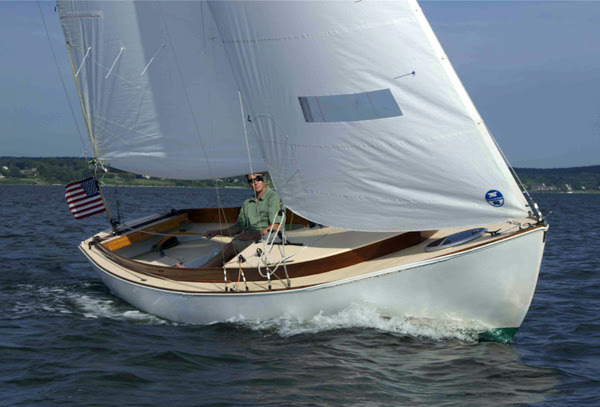 Wooden boats, fiberglass boats, power or sail – we love [mostly] all of them and a good portion are worthy of your time reading about them here… and our time restoring them, making them perform better, be safer and ALWAYS look better. As Shop Night gets underway for the 2016-2017 season, we invite you to come behind the scenes into the TotalBoat Shop via our new LIVE ShopCam. We meet every Wednesday evening to get dirty and get our boats in better condition for next summer. Our ShopCam can move around, and if you like something you see, we can move the cam closer to let you see more. TotalBoat Shop Night is Underway! It’s been a great season out on the water for the TotalBoat team, but the time has come in Southern New England to put the boats away and get to work on improvements, general maintenance or upgrades for next summer. We have a number of exciting projects coming up this winter and we are excited to share their progress with you weekly on TotalBoatShow.com and on the new official TotalBoat website.